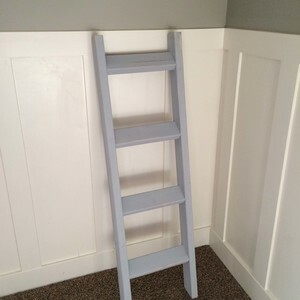 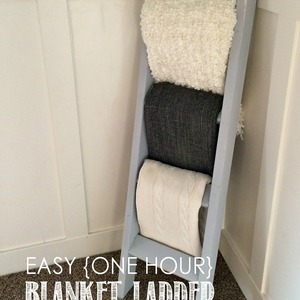 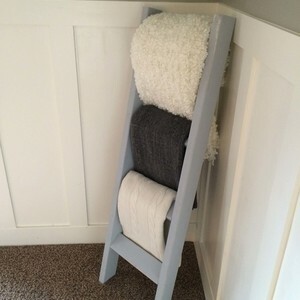 Using only (2) 2x4's I created this fun blanket ladder! 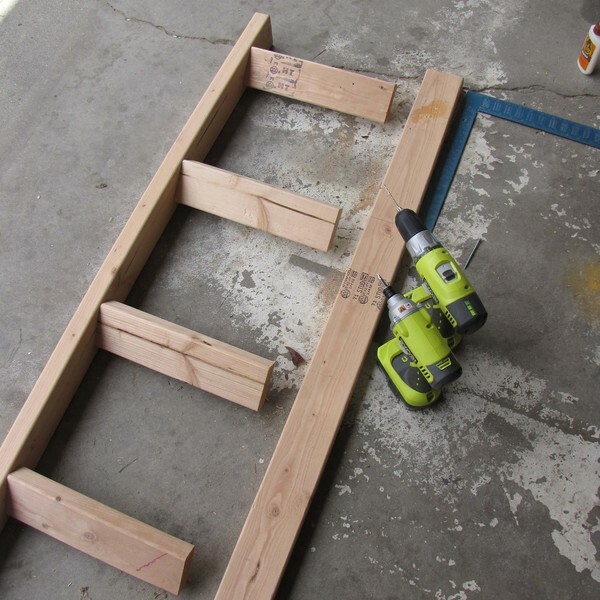 I cut the long pieces to be 54" long and four rungs to be 13" each. Using 2 screws on each side, on each rung, I fastened them to the long pieces. I angled the rungs so the blankets would hang off them and easier and for character.